Mayor James Knowles III said Jackson's resignation was a mutual decision by the chief and city leaders to help move the department forward. He called the chief an honorable man. 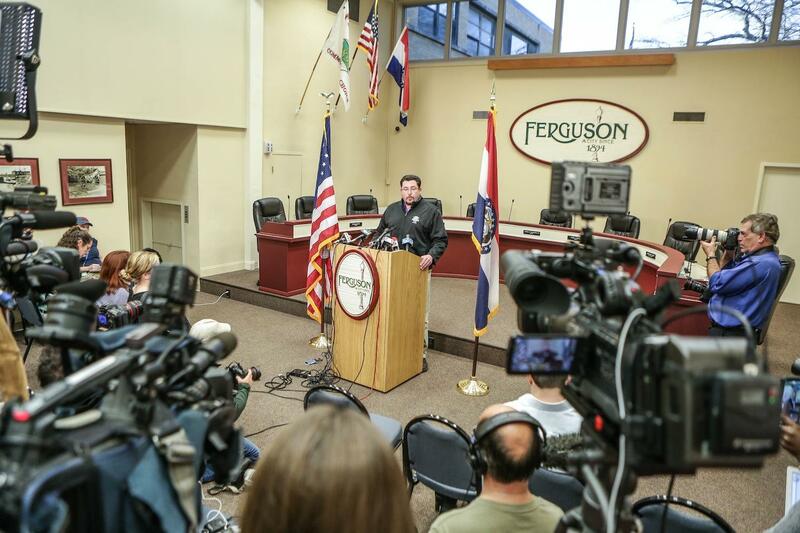 Media crowded Ferguson City Hall as Mayor James Knowles III took questions following his announcement that Police Chief Thomas Jackson was resigning. "After a lot of soul-searching, he felt that this was the best way forward, not only for the city, but also for the men and women who served under him in the police department because he is committed to making sure the city of Ferguson keeps the Ferguson police department," Knowles said. Jackson will receive a severance payment of about $100,000, and a year of health insurance. Lt. Col. Al Eickhoff will assume the role of chief as the city conducts a nationwide search for Jackson's replacement. The chief's resignation is the latest in a series of high-profile departures. City manager John Shaw announced his resignation Tuesday night. 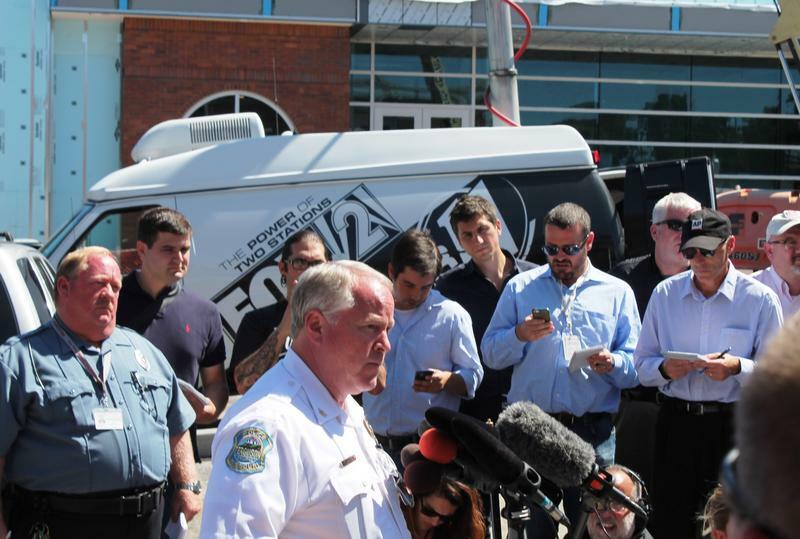 Shaw oversaw all of Ferguson’s departments — including the police department. He was widely seen as the most powerful city official in Ferguson, far more powerful than the mayor. Jackson's resignation has been chief among the demands of protesters like Christy Nelson since Michael Brown was shot and killed in August. A good chief can make all the difference for a department, she said. "They can be the ones to tell the police department, hey, we just don’t want to police the vehicles all day, at least twice throughout your shifts get out of your vehicles and make friends with the people in your community," she said. "There’s so many procedural break-downs that happened within the police department." But Nelson said she didn't trust that Knowles and the remaining city officials could hire the right person to do the job. Tony Rice, a fellow Ferguson resident, had more confidence that things would change. "I believe that most of these city officials were the barrier. With them gone, that is definitely step number one, and we'll be able to better connect with residents and city hall with a new conscious government in place," he said. Knowles on Wednesday said he would not be following Jackson out the door. 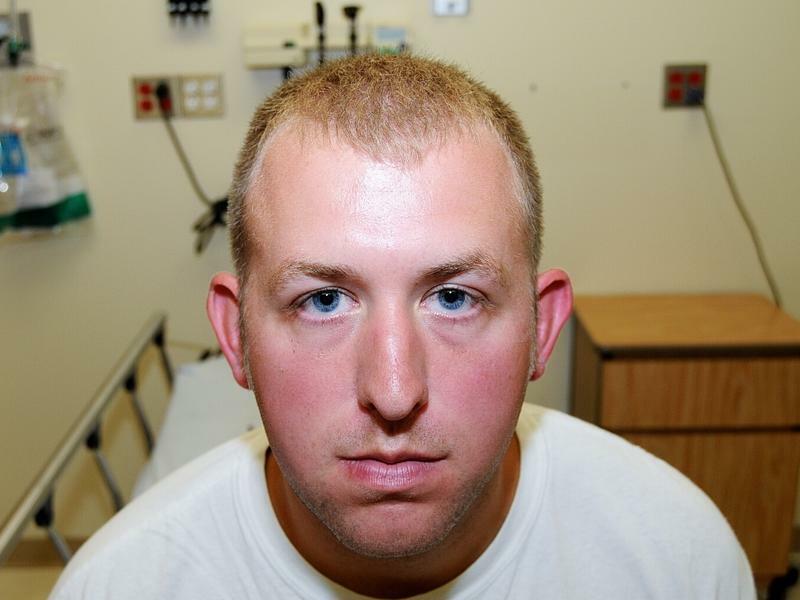 Jackson had been under intense scrutiny since Ferguson police officer Darren Wilson shot and killed Michael Brown on Aug. 9. The department has been criticized for its insensitivity to Brown's family after the 18-year-old's death and for the department's low racial diversity. In September, about six weeks after Brown was killed, Jackson apologized to Brown’s family and to demonstrators who believed their constitutional right to protest had been violated. When Jackson tried to speak publicly, after releasing his video apology, trouble ensued. At first, when Jackson asked the crowd what he could do, short of resigning, some asked him to march alongside them. Jackson joined an impromptu march, but they only made it about 10 yards before a few Ferguson officers attempted to shove their way to their chief, which upset many protestors. After a scuffle between the two sides, police arrested several protesters. Since then, Jackson has kept a low profile, rarely being seen in public or making any statements. Jackson began his employment with the city of Ferguson on March 8, 2010. He replaced Tom Moonier, who retired. Jackson received an associate degree in applied life science in 1973 from St. Louis Community College. He then went on to receive a bachelor of science in criminal justice management from Tarkio College, in the northwestern corner of Missouri, in 1986; a certificate in C.J. Education from University of Virginia in 2005. He graduated from the FBI National Academy (2005). Jackson was a member of the St. Louis County Police Department for more than 30 years, and served as commander of the St. Louis County Drug Task Force. Other experiences include SWAT team supervisor, airplane and helicopter instructor pilot, undercover detective and hostage negotiator. He has received numerous awards, including a Medal of Valor, St. Louis Police Department Meritorious Service Citation, and White House Office of National Drug Control Policy, in recognition for Outstanding Task Force Commander in 2003 and a Distinguished Service Award in 2007. As a long time resident of north St. Louis County, Jackson served as a commissioner with the Municipal Parks Grant Commission from 2002-2009. He also served as the St. Louis Chapter legislative vice president and State Leader of the Juvenile Diabetes Research Foundation for several years. 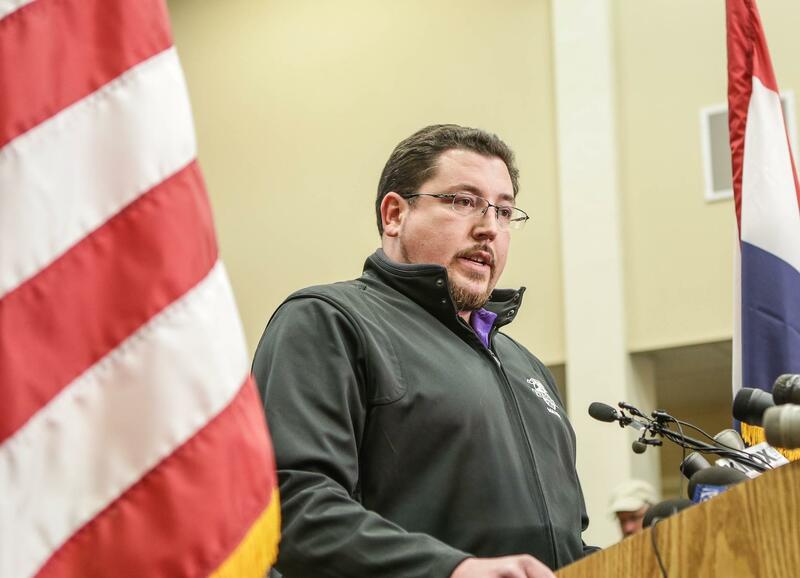 Mayor James Knowles said repeatedly on Wednesday that the city remains committed to making the changes outlined in the Department of Justice report. Knowles called Jackson "an honorable man." Attorney General Eric Holder said last week that he would disband the department if necessary, but Knowles said he can change the culture of the department enough to avoid that. There is no mechanism the state of Missouri can use to shut down the police department and there is limited political support on any side of the Ferguson debate to contract with St. Louis County for services. On Wednesday, Vanita Gupta, the acting assistant attorney general for the civil rights division, said the civil rights staff will be coming to Ferguson "in the coming weeks." 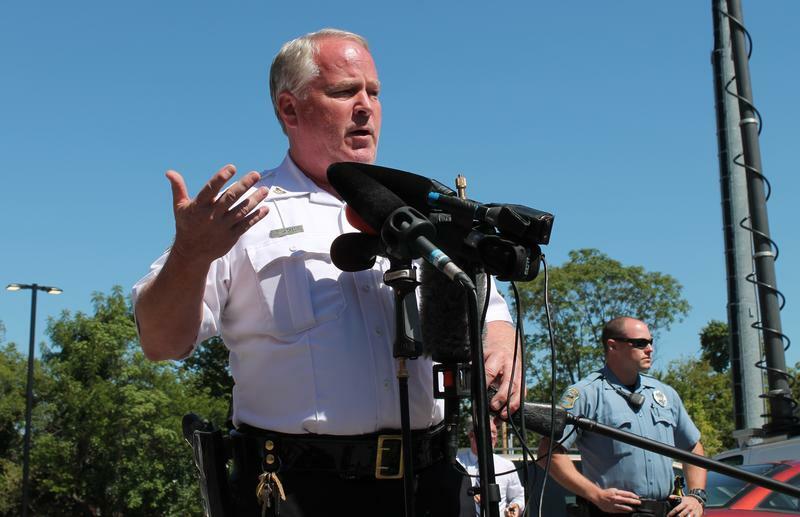 "The division will continue to work with Ferguson police and city leadership, regardless of whomever is in those positions, to reach a court enforceable agreement that will address their unconstitutional practices in a comprehensive manner," Gupta said. During a tense Thursday night, demonstrators returned to the area outside the Ferguson police department and held a quick march or two. Even though the verbal exchanges were intense, control was maintained – until the police chief tried to improve the situation. In his resignation letter, Wilson writes that he hopes his resignation "will allow the community to heal." The Ferguson Police Department has not confirmed that it has received this letter.